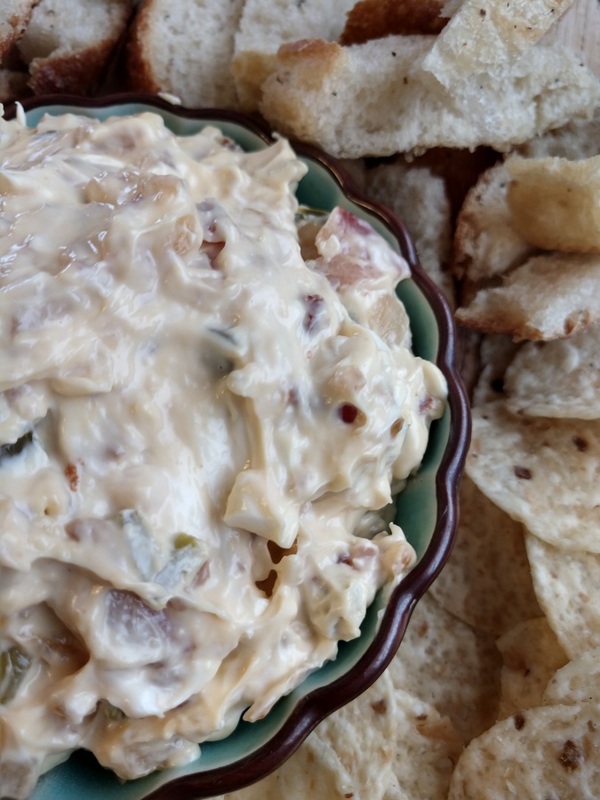 Salty bacon combines with hot jalapeno’s to make a tasty and delicious dip that will be a hit out of the park for any party. I used a 12oz package of bacon for this Crock-Pot Bacon Jalapeno Popper Dip. But, I am a true believer that a little more bacon won’t hurt a recipe. You want a piece of bacon in just about every chip scoop and a little jalapeno. The two mix together with the cheeses and caramelized onion to make this dip delicious. As always, I take a lot of what I make to work. There are many people that filter in and out at work. This dip I gave to one guy in particular. He took the container to the other office and ate it for two days. He could not say enough about this and asked for the recipe. I love getting second opinions on recipes and hearing what others think. 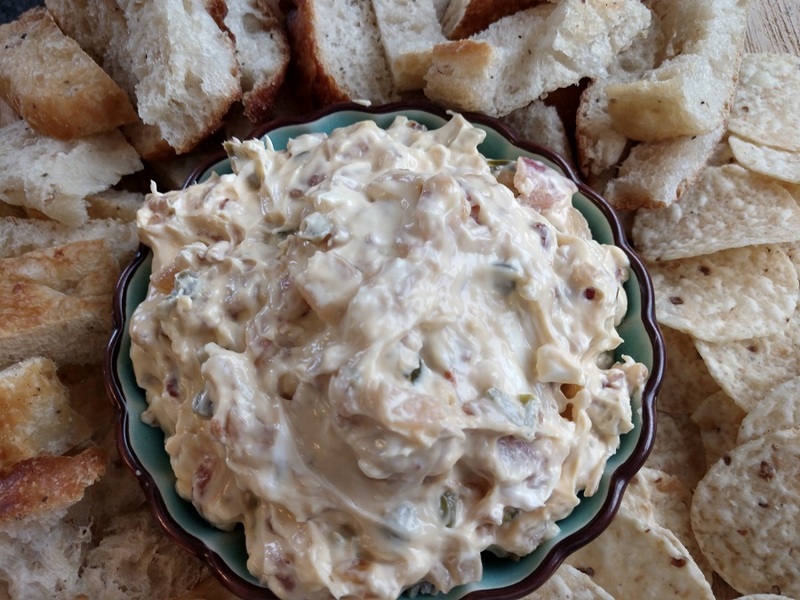 Salty bacon combines with hot jalapeno's to make a tasty and delicious dip that will be a hit out of the park for any party. On the stove top, cook the bacon. Set the cooked bacon aside to cool and then chop. Drain the drippings from the pan and add back 2 tablespoons of bacon grease back to the pan. Add the onions to the pan and mix with the bacon grease. Cook on low heat until the onions have caramelized. Add the caramelized onion, chopped bacon, cream cheese, processed cheese and jalapenos to a 4 qt or 5 qt slow cooker. Cover and cook on LOW for 2 hours stirring occasionally.